When looking at the various education options for a child at a new stage of education (going into year 7, for example, or starting school aged 4), a particularly detailed and easily comparable way to discover more about the educational and pastoral standards of various schools is by getting hold of a copy of each school's Ofsted reports. Ofsted - the Office for Standards in Education, Children's Services and Skills - is the government body which employs school inspectors to visit schools on a regular basis (usually every few years). 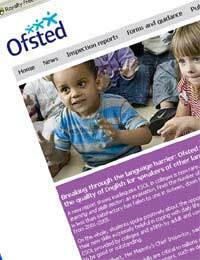 Soon after, the results are then published on Ofsted's website for anyone to see. A convenient option, if you're 'au fait' with the Internet, is to bring up the Ofsted website and look at its school reports there. You can either look for the school's name using the search facility in the top right hand corner of the Ofsted website, or type in the school's postcode in the 'Inspection reports' section. Or browse the schools in your area after clicking on your local authority listings. Alternatively, if you want to contact the school directly, it's best to write a letter. Each school has to produce the report if you ask for it, but if you request the report from a school where your child is not a registered pupil, the school is allowed to charge you a photocopying fee. Note that some independent schools will not be inspected by Ofsted but by the Independent Schools Council (ISC). The ISC has its own inspectorate, with reports published on its own website. The letter format laid out below is a sample letter from parents to a school to ask for a copy of an Ofsted report. I am very interested in my child, Robert Turnham, starting as a pupil at your school when he turns 11 and enters year 7 in September next year. We really enjoyed attending your open day and were impressed with the facilities and obvious enthusiasm of the staff. I would really appreciate the opportunity to discover more about your school and its standards of academic and pastoral care as reported by the inspectors in their most recent Ofsted report on The School House. Unfortunately, I do not have access to the Internet at home, so I am told that the school has a copy of the report that you would be able to send out to me. I would be very grateful if you would be able to send through a copy of your most recent Ofsted report to my address, as listed above. Please phone me on 020 8495 2039 if there are any problems with my request - otherwise, I look forward to reading more about The School House in the Ofsted report.